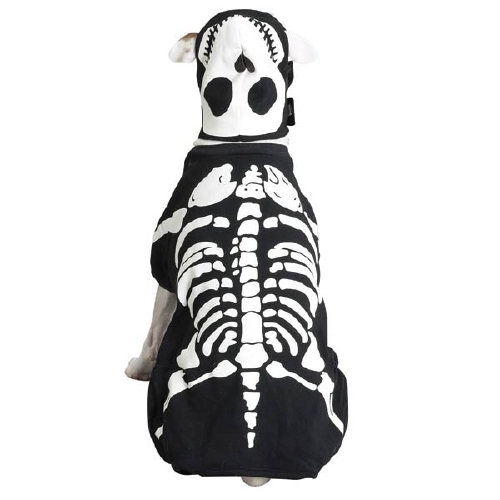 The spooky glowing skeleton on this Casual Canine® Glow Bones Costume stands out on a dark Halloween night! 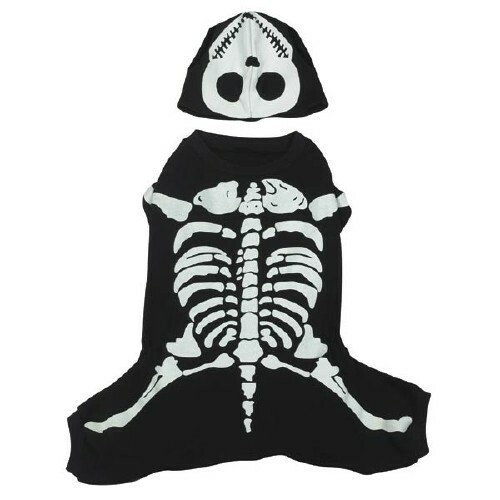 This cute costume features a spooky glow in the dark skeleton design on the back. 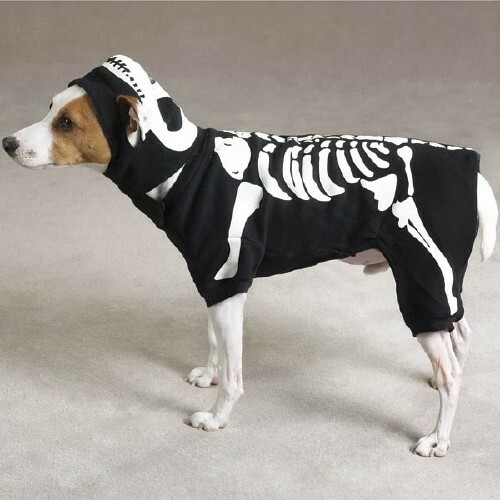 This fun two-piece dog costume for Halloween features a fitted outfit and matching hat. 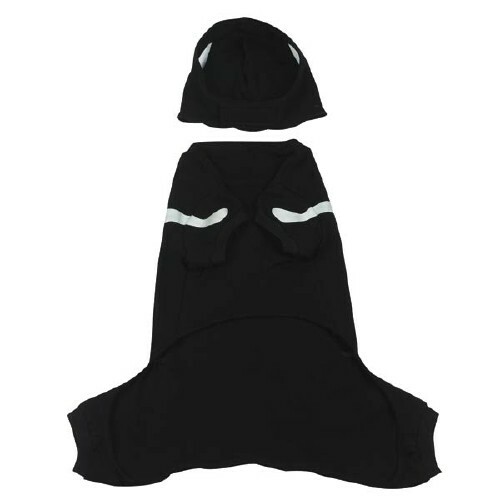 Made of easy-care, machine-washable 100% cotton.